For Lavery and the rest of Theatre en Bloc, the months leading up to the 2016 election was the perfect time to stage The Totalitarians. "If this play was going to be produced, I felt like it needed to be produced before this election," Lavery says. Barbara Chisolm stars as Penny Easter, a wealthy but perhaps unqualified candidate for statewide office in Nebraska. She's charismatic but inconsistent, watchable but possibly dangerous. The play centers around Easter, her speechwriter Francine, and Ben, a young radical who's determined to stop Easter's meteoric rise in Nebraska politics. Chisolm believes that Easter, if she existed in real life, would gather a strong following. "I lot of people would vote for her," Chisolm says. But would Chisolm support a real world Penny Easter? "Me personally? I hope not!" she says. Co-star Aaron Johnson (Ben) adds "There's some hesitation, though, because her words are very powerful." And Lavery? "Maybe if it was the PTA or something," she says, to which Chisolm adds "Because she would GET IT DONE." 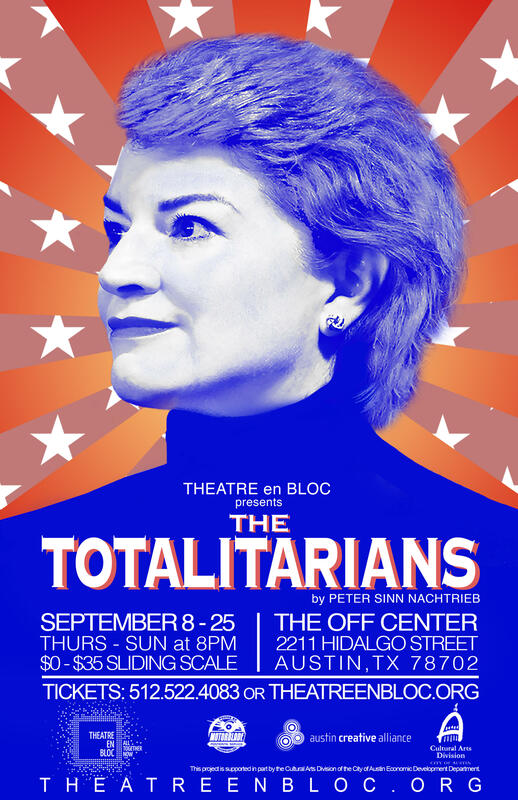 'The Totalitarians' runs through September 25 at the Off Center. Writers Jodi and Owen Egerton have been married for a dozen years, and in their time together they've always helped each other with their various creative projects. "We keep editing each other and re-reading each other, and we've found that we have a similar approach to creativity," Owen says. 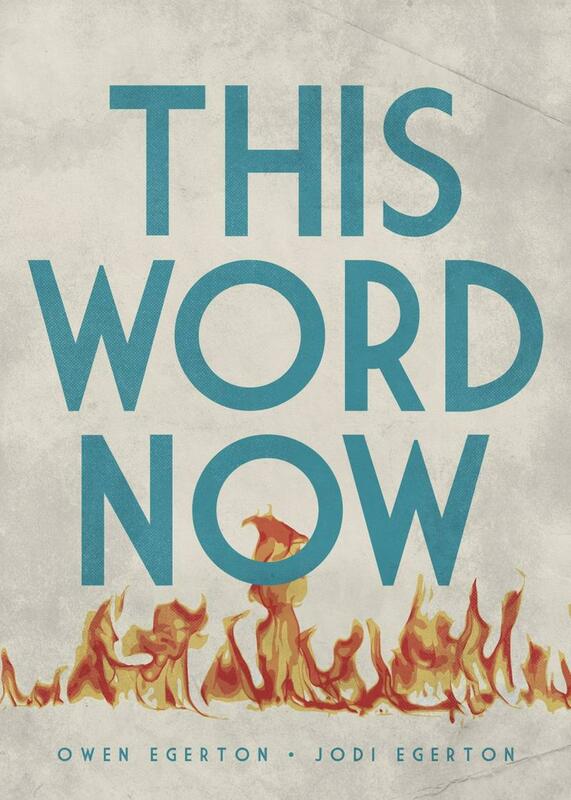 That shared approach to (and love for) creativity led to the pair co-writing This Word Now, their new book on the creative process. "I didn't think to myself 'Owen and I are launching into a two-year venture to write a book together. Let's see what that approach to marriage and life is going to look like,'" Jodi says. "And it turns out it was actually really fun, but it did take us a while to discover how we write together as opposed to just how we brainstorm together or how we edit each other's stuff." 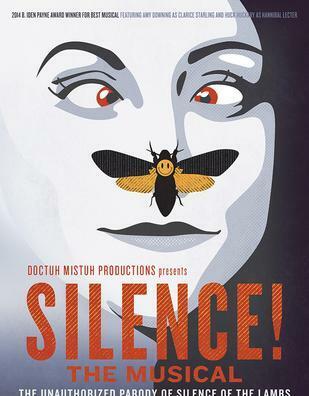 In 2014, Austin's Doctuh Mistuh staged the first local production of Silence! The Musical, the award-winning musical parody of the 1991 movie Silence of the Lambs. The show was a big hit with audiences -- as a parody of such a popular film, Silence! drew in theater fans, comedy fans, and movie fans. "We drew a lot of audience members in who weren't regular theatergoing audiences," says director Michael McKelvey. It was also a big hit with critics -- it didn't win quite as many B. Iden Payne awards as Silence of the Lambs won Oscars, but it came close. In the time since, there's been interest from audience members (and from the cast as crew as well) in staging the show again. When some space opened up in Austin Playhouse's August schedule, the time was right. "It's just a show [where] we all really enjoyed the experience, which is scary to say with this show," McKelvey laughs, "but we had a blast with it, so we said 'Let's do it again."